Mark Wilson/Getty ImagesAetna CEO Mark Bertolini. Your employer probably isn’t paying you to sleep. earn employees at the health insurance giant a slick bonus. The deal is simple: If employees can prove that they’re getting at least seven hours of sleep per night for 20 nights in a row, using a fitness tracker like FitBit, they begin earn to $25 per night. The program caps out at $500 per year — a nice prize for a habit that has the benefit of making you healthier, too. CEO Mark Bertolini implemented the program last year, aiming to help employees improve their focus and productivity at work. The National Institute of Health recommends that adults get at least seven hours of sleep per night, but many don’t reach that goal. A report from McKinsey & Company Insights pointed out that 43% of 196 business leaders surveyed reported not getting enough rest at least four nights a week, supporting Bertolini’s argument for incentivizing more sleep. In addition to the sleep program, Bertolini started offering free yoga sessions to his 50,000 employees, a practice he personally follows to reduce stress. Aetna employees can also take advantage of the company’s all-inclusive wellness center, which features on-site doctors and massage therapists. 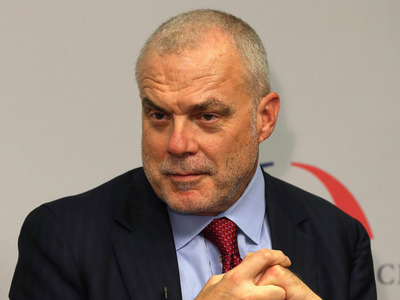 Since encouraging employees to get more sleep, Bertolini’s already seen a marked uptick in efficiency at Aetna. He told CNBC that worker productivity has increased by 69 minutes per month, specifically resulting from the company’s newfound focus on employee health. These wellness perks don’t come at the expense of financial performance, either: Aetna stock has risen more than 300% since Bertolini took over as CEO in late 2010. Revenues have jumped more than 75% to $60.3 billion. “If we can make business fundamentals better by investing in our people, then that’s going to show up in our revenue,” he told CNBC.